Mark is Chairman of the Firm and concentrates his practice in New York State and New York City tax matters. He has more than 35 years of experience with federal, multistate, state and local taxation -- and may be best known for his public speaking on tax topics. Mark splits his time between the Firm's New York City and Buffalo offices. Mark has represented numerous Fortune 500 companies in connection with corporate, withholding and sales tax audits as well as dozens of individuals who appear on the Forbes 500 list of wealthiest individuals in the United States in connection with New York income tax inquiries. Mark taught courses in the Tax Certificate Program in the School of Management at the University of Buffalo on state taxation and tax practice and procedure. He is a member of The CPA Journal editorial review board and has written numerous books, articles and treatises on the subject of multistate taxation. Mark is the general editor of LexisNexis Tax Practice Insights: New York; the editor of New York Tax Highlights and the contributing editor of CCH's Annual Guidebook to New York Taxes. 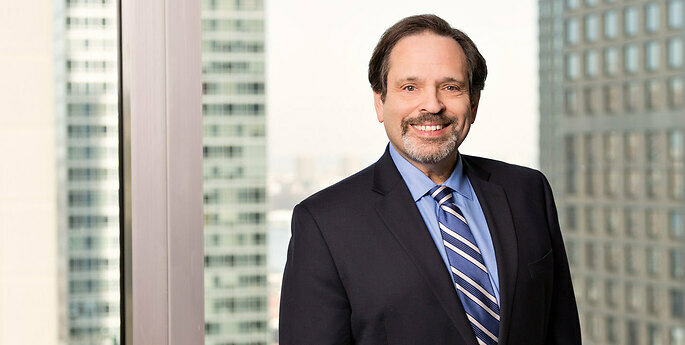 He is the co-author of the ABA Sales & Use Tax Desk Book, CCH's New York Residency and Allocation Audit Handbook; New York Sales and Use Tax Answer Book, the New York State Bar Association's Contesting New York State Tax Assessments, 4th Edition; and RIA's New York Tax Handbook and New York City Tax Handbook. Mark is also a contributor to numerous professional and industry-focused publications. New York State Society of CPAs (NYSSCPAs), Wayfair Decision- What Does it Mean?